The famous quote stands true even in its most literal sense. Salt, which is a mineral composed of sodium and chloride, has more than 14,000 uses. It is produced through the evaporation of ocean waters, giving us sea salt. It is also mined from underground salt deposits, giving us the more commonly used table salt. 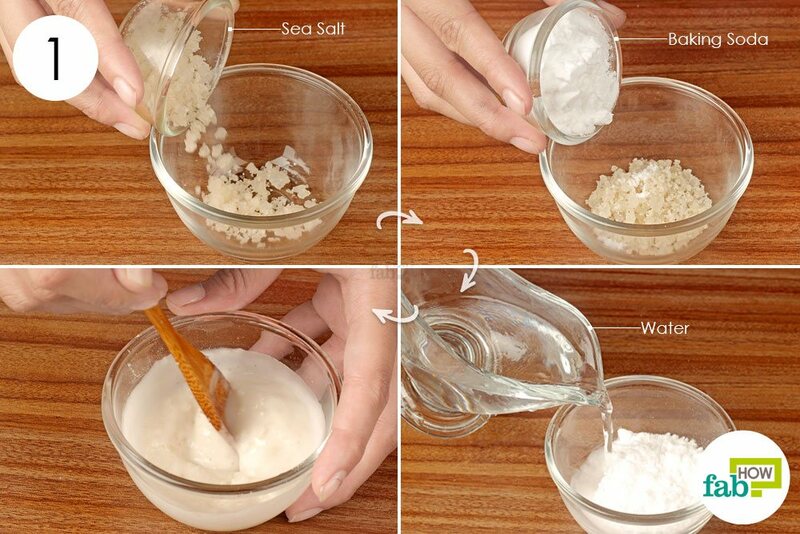 Salt is certainly one of the most indispensable ingredients when it comes to cooking. It can reduce bitterness as well as enhance the flavor of other ingredients. Apart from its culinary significance, salt is essential for many biochemical processes in your body. It is needed for muscle contractions, absorption of nutrients, nerve stimulation and water regulation. Incorporating it into your everyday life can offer innumerable benefits. 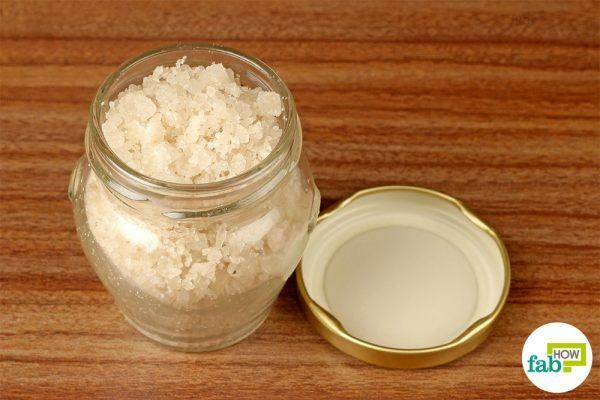 Here are 10 ways you can use sea salt and common salt for health and beauty. Swallowing is one of those body functions that you take for granted, unless you have a sore throat. Gargling with salt water is an old-school remedy to soothe an ailing throat. It can reduce the symptoms of an infection by flushing fluids out of the throat tissues. 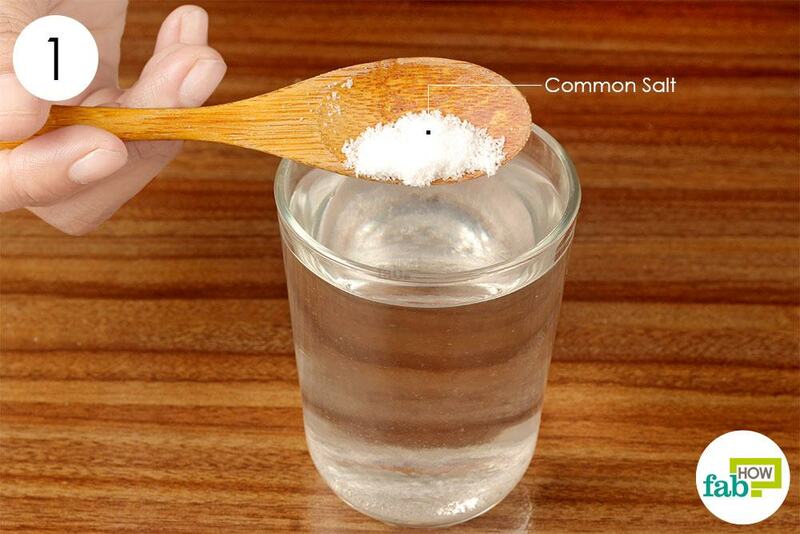 Add 1 teaspoon of table salt (common salt) to 1 cup of warm water. 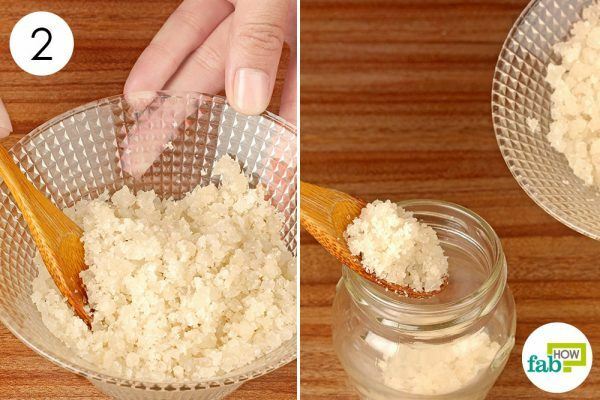 Stir the solution until the salt dissolves completely. Take some of this water in your mouth and tilt your head back, without swallowing the water. 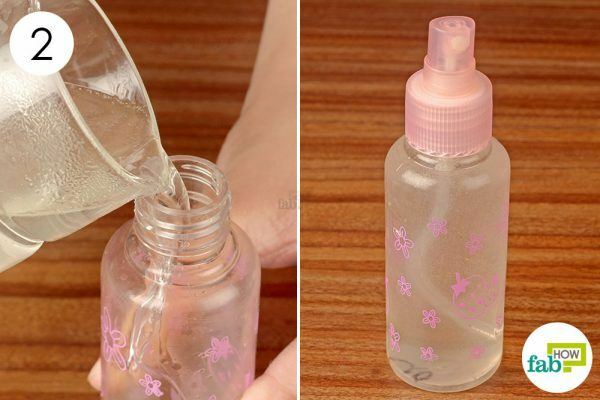 Gargle for 30 to 40 seconds, then spit it out. 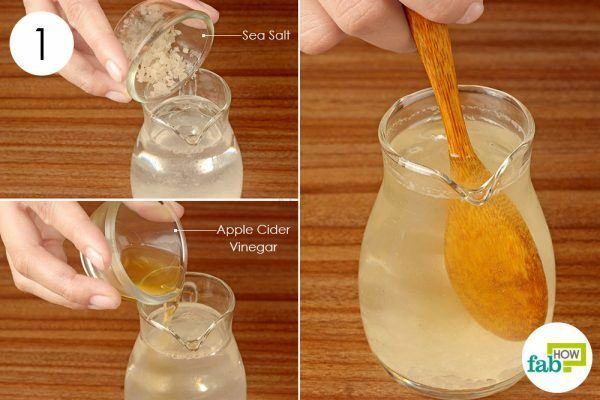 Repeat 3 times daily until you get relief from your sore throat. If you accidently brush up against a poison ivy plant, you can get terrible itchy rashes. This is due to the presence of urushiol, an oily resin present in the plant’s stem and leaves. 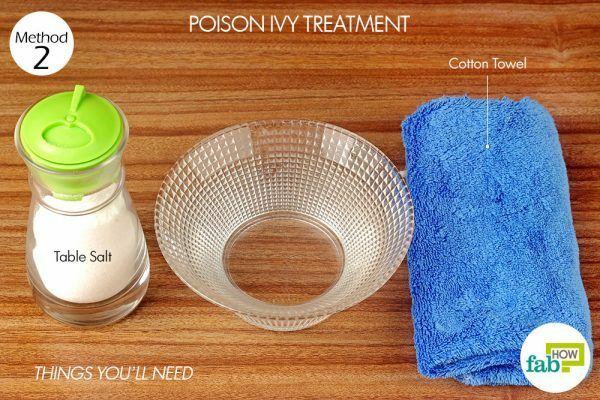 Using table salt is one of the most effective remedies for relieving the itchy poison ivy rash and preventing it from spreading. Soak a hand towel in warm water and wet the affected skin. Rub salt on the affected area. Repeat if the itching does not stop. 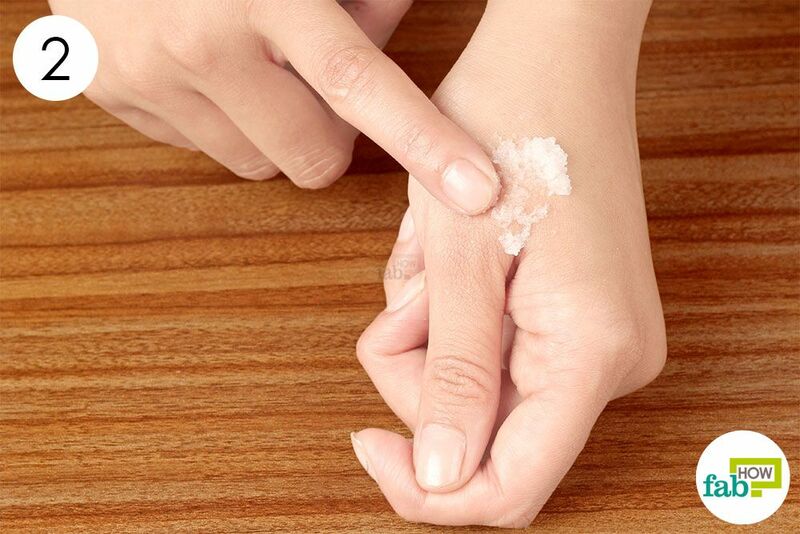 Salt can be used to soothe swollen or sore muscles and joints. A saline solution reduces swelling by dehydrating the swollen cells in your body. 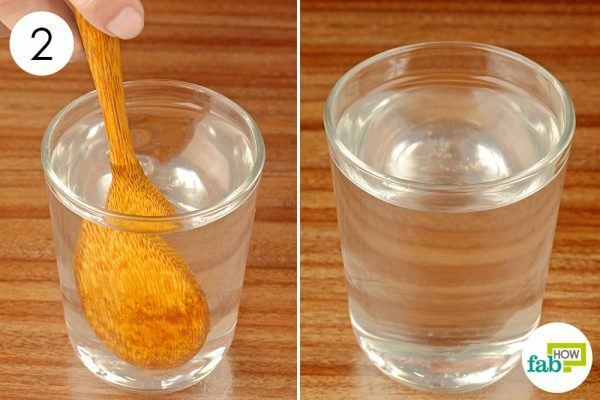 Pour 1 quart of warm water into a bowl. Add 1 tablespoon of salt to it. 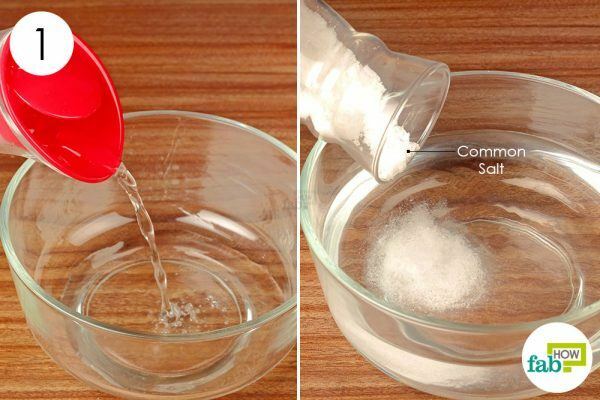 Stir the solution until the salt completely dissolves in the water. Soak the swollen area in the salt water for 20 minutes. You can add more warm water to the bowl to maintain the heat. If you have swelling in your hands or legs, you can add 1 to 2 cups of salt to your bath and soak in it for 10 to 15 minutes. Repeat 2 or 3 times a day until you get relief. An ear infection can induce an earache that may last for days. For a minor infection, it’s best to try treating it with natural remedies before rushing off to get an antibiotic. A salt compress is effective and handy. Salt can retain the heat in the compress for a long time and reduce pain quickly. Heat 3 to 4 tablespoons of table salt in the microwave for about 3 minutes. 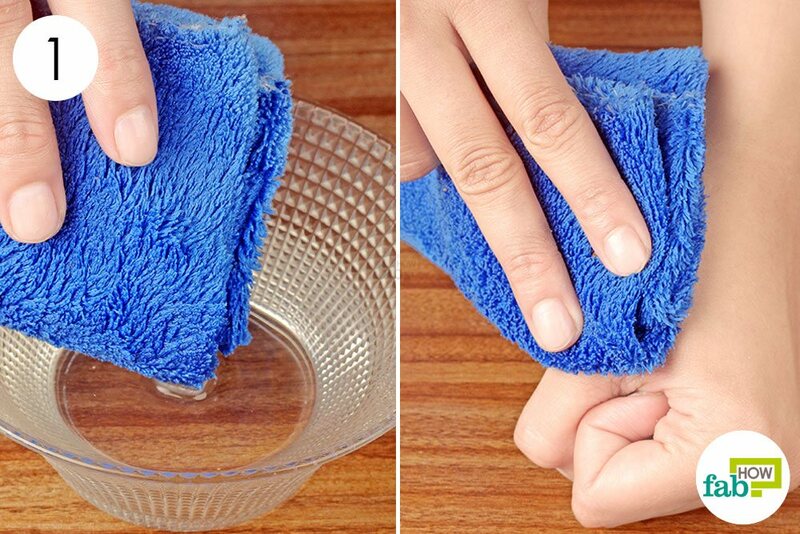 Carefully transfer the hot salt to a towel and bundle it up. Secure the bundle with a knot or a rubber band. 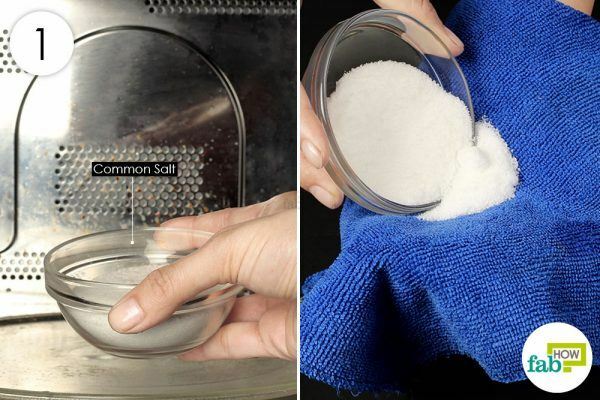 Test the temperature of the salt compress to be sure that it’s not too hot. Press it against the affected ear. Use it 2 or 3 times a day or whenever you feel pain in your ear. Continue until your earache completely subsides. Toothaches can effectively ruin the joy of eating and drinking. Whether the pain is due to a cavity, an abscess or a broken tooth, swishing salt water around in your mouth can provide instant relief. Pour 1 cup of warm water into a pitcher. Add in 1 teaspoon of sea salt. Take mouthful of the solution and swish it around in your mouth for 1 minute, then spit it out. Repeat 3 or 4 times a day until you get relief. 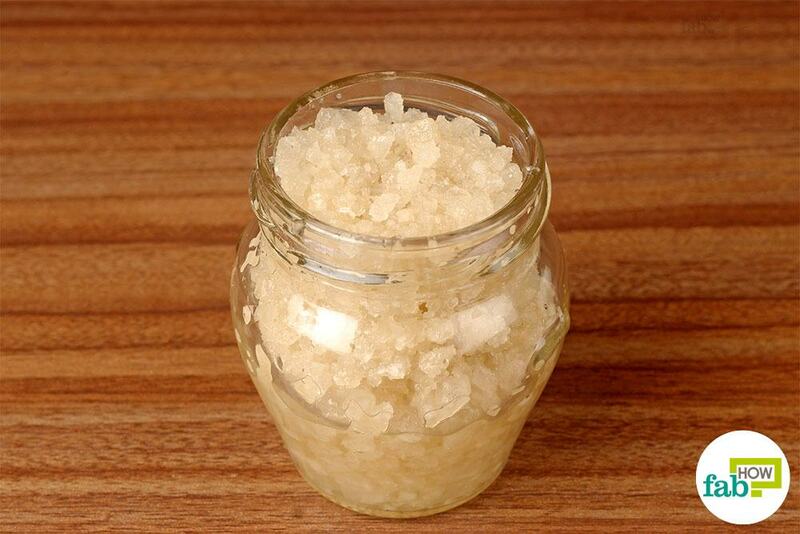 Salt scrubs, usually made from sea salt, are more abrasive than sugar scrubs. However, they do have an upper hand due to their mineral content. Sea salt contains minerals like calcium, magnesium, potassium, copper and iron that help improve blood circulation and reduce inflammation. Salt scrubs can easily remove dead skin from your feet and elbows. However, avoid using them on your face. 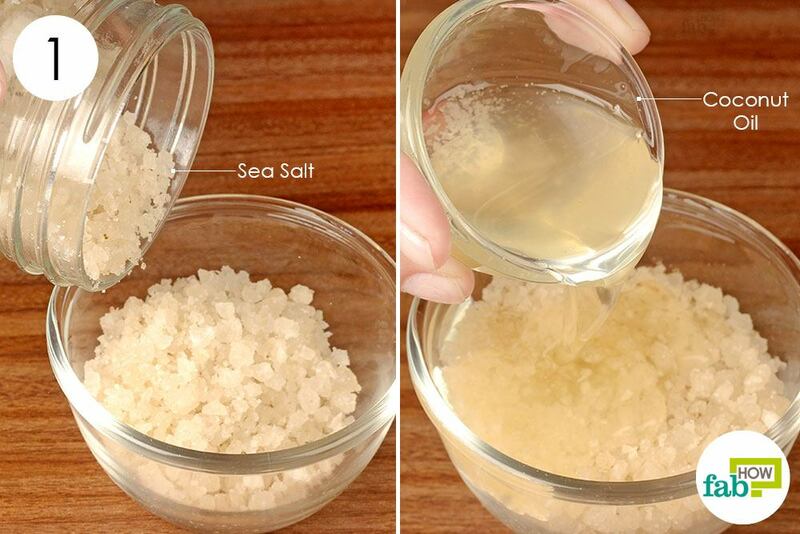 Put 1 cup of sea salt in a bowl. Add ¼ cup of coconut oil to it. Mix the ingredients until the oil binds with the salt. Transfer the mixture to a jar and your scrub is ready. 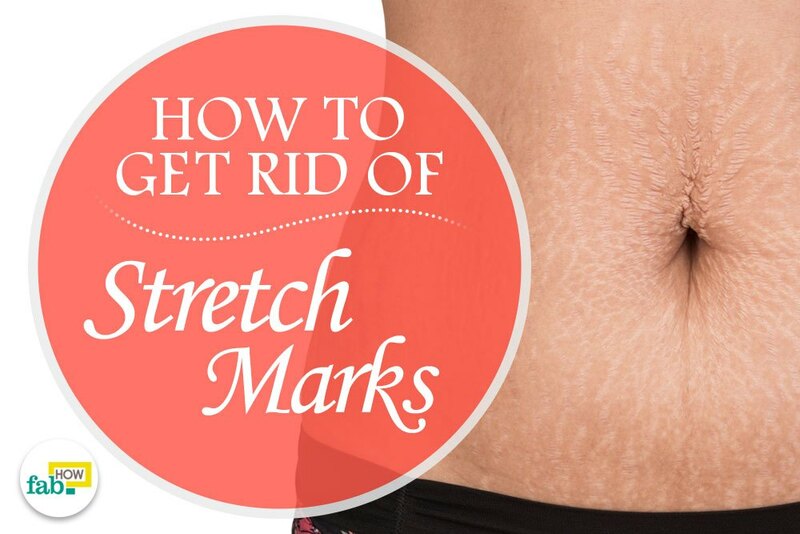 Rub a spoonful of the scrub on your body in circular motions to slough off the dead skin. Continue to scrub for a few minutes, then rinse it off with warm water. 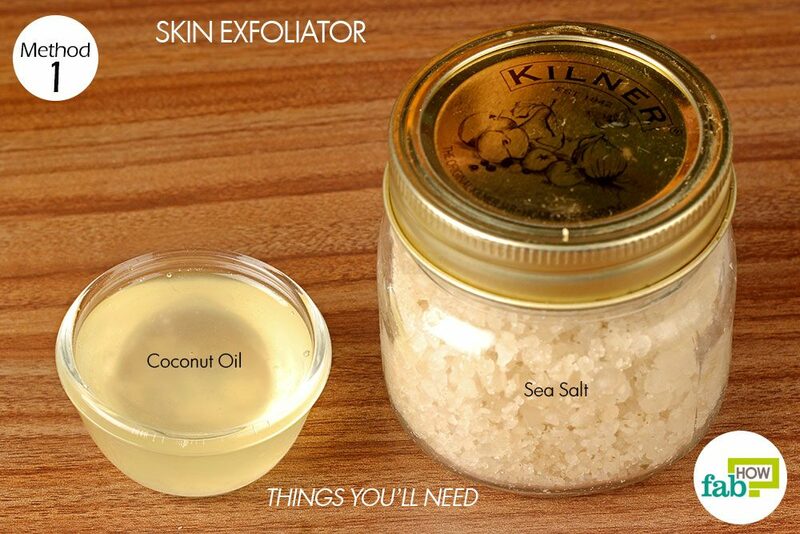 Use it once or twice a week to to soft and smooth skin. 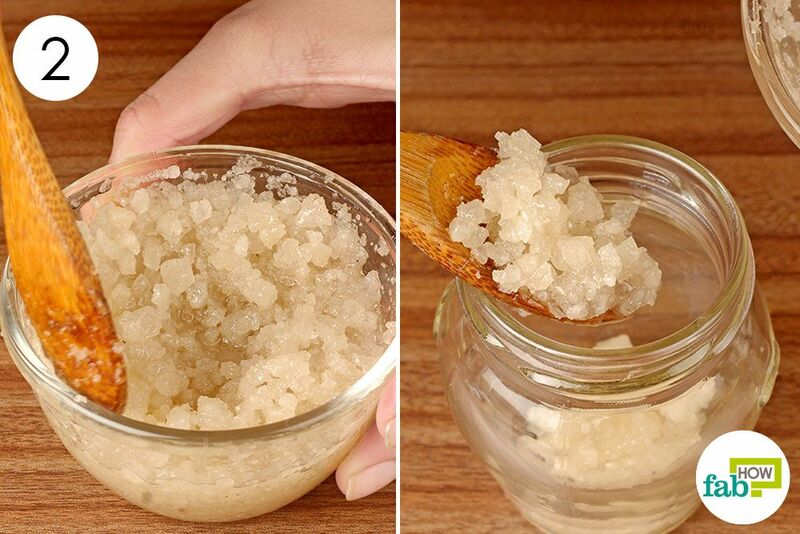 Remember, do not use a salt scrub on your face. 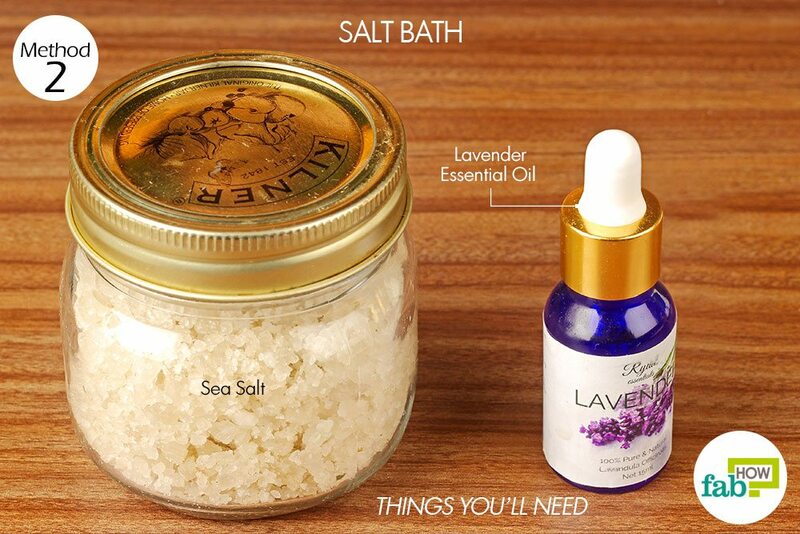 Taking a warm salt bath can help you relax as well as detox your body. 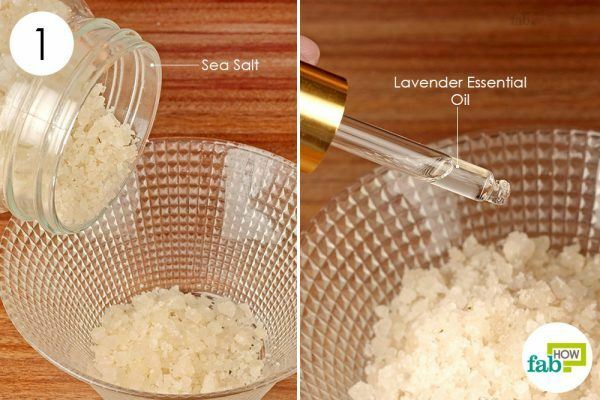 Sea salt, when added to your bath, can draw toxins out of your body as well as nourish your skin with important minerals. It will also reinvigorate your body for the rest of the day. Add 10 to 12 drops of lavender essential oil to the salt. Mix the salt and oil thoroughly. Transfer the detox salt to an airtight jar. 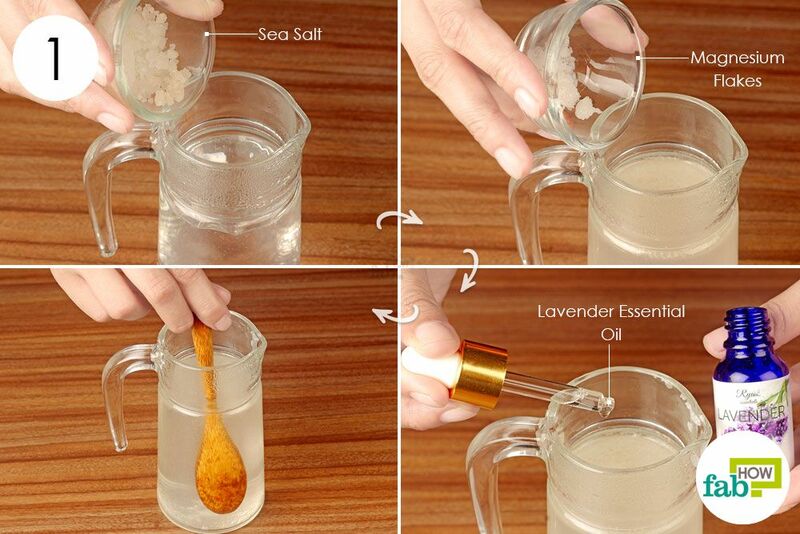 Prepare your bath by adding 1 cup of the detox salt to warm water. Soak in the bath for 15 to 20 minutes. Salt is a natural antiseptic. When used in your facial toner, sea salt can cleanse the pores and disinfect them. 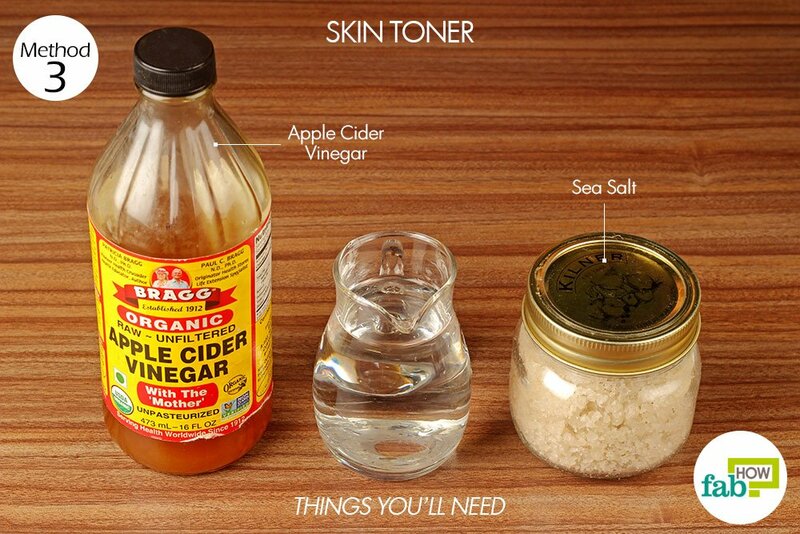 The apple cider vinegar further helps in maintaining the pH level of your skin. Add 1 teaspoon of sea salt to 1 cup of warm water. Add 1 teaspoon of apple cider vinegar to the solution. Stir until the salt and apple cider vinegar completely dissolve in the water. 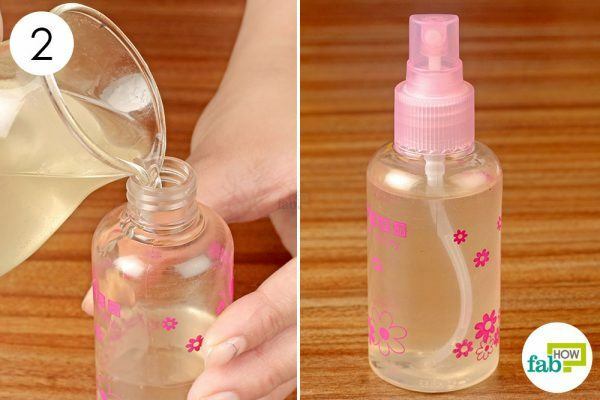 Carefully transfer the solution to a spray bottle for easy application. Use it every day in the morning and before going to bed. 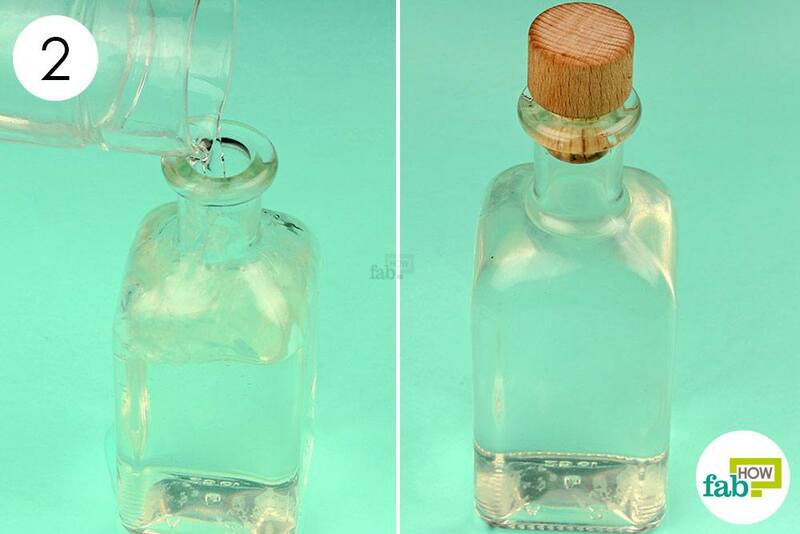 Using a sea salt spray is the easiest way to get beachy waves in your hair without burning a hole in your pocket. 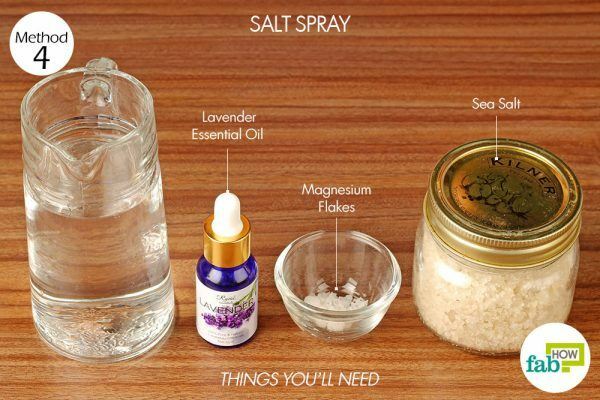 Since salt can draw moisture out of your hair, adding some magnesium flakes and essential oil can help restore the moisture and leave your hair smelling great. 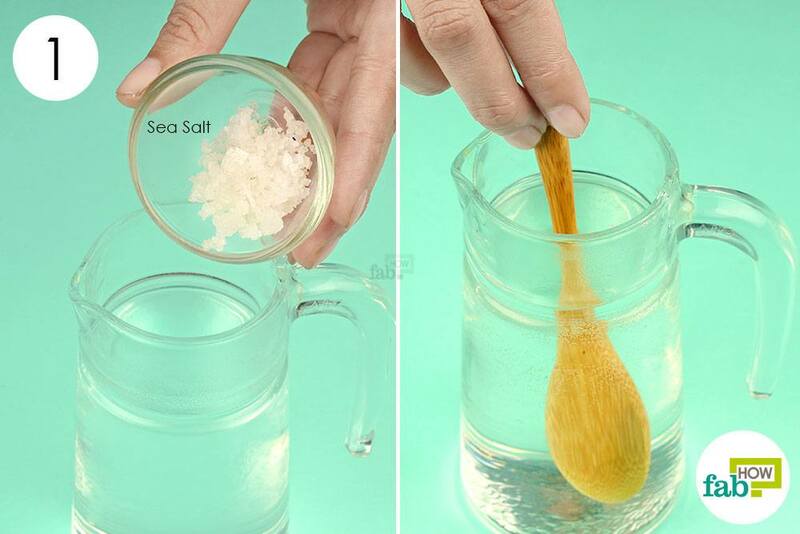 Put 1 tablespoon of sea salt in 1 cup of warm water. Add ½ teaspoon of magnesium flakes. You can use Epsom salt if you don’t have magnesium flakes. Add 1 to 3 drops of lavender essential oil to the solution. Stir the solution until the salt completely dissolves in the water, then transfer it to a spray bottle. After your shower, wrap your wet hair in a towel for 15 minutes to soak up excess water. Unwrap your hair and generously use the DIY spray on the ends of your hair. Crumple the hair with your fingers to create beachy waves. 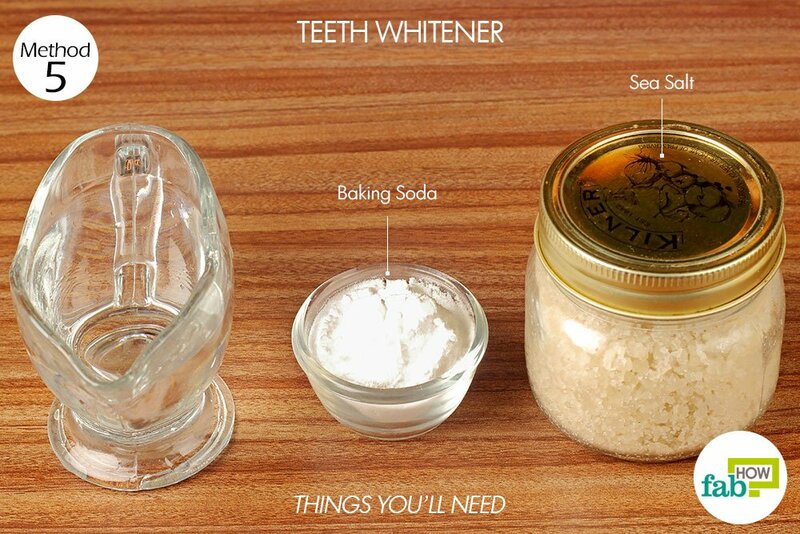 Sea salt has an abrasive texture that helps remove plaque from the teeth. Adding baking soda also helps brighten the teeth naturally. Put 1 tablespoon of sea salt in a bowl. Add 1 tablespoon of baking soda to it. Mix in 1 to 2 tablespoons of water to make a thick paste. Store the remaining mixture in a jar. 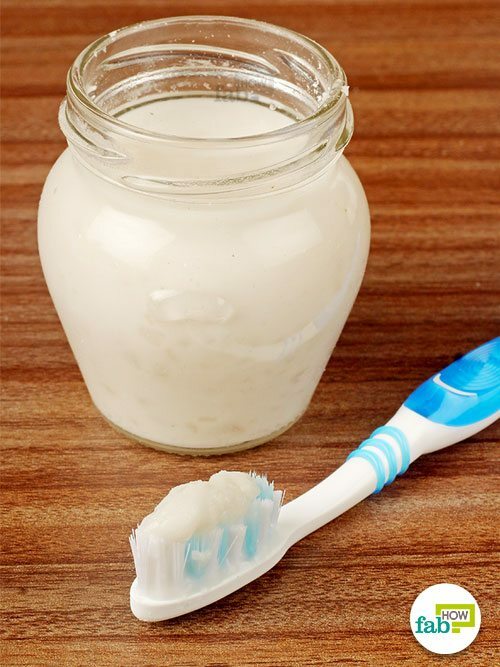 Wet your toothbrush and dip it into the paste. Use it to brush your teeth. 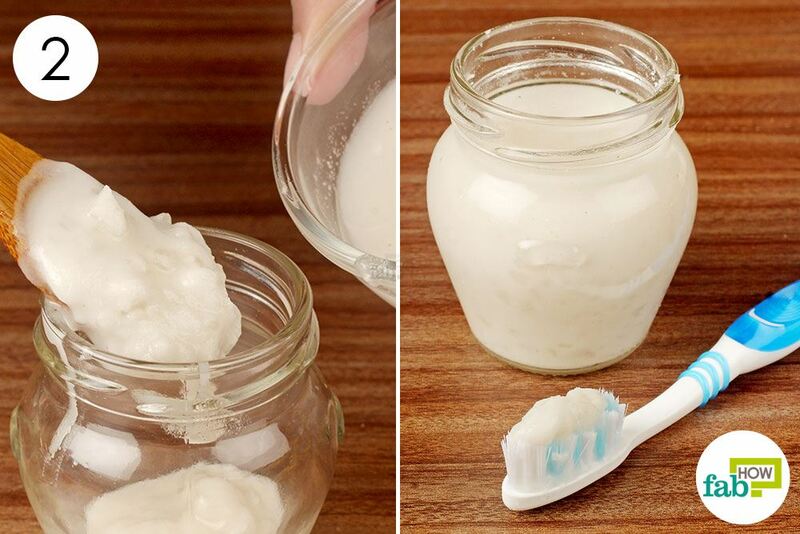 Use the homemade tooth paste every day to get whiter teeth.